There is a general trend towards retailers working with fewer watch brands, and devoting more space, expertise and energy to ensure they are perfectly presented. 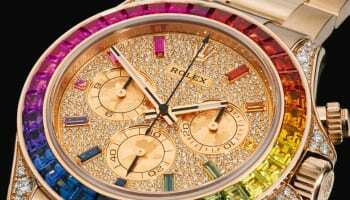 That is the way Rolex and Patek Philippe see the UK market, a view entirely shared by Prestons managing director Karl Massey, who has dedicated his three luxury boutiques to just the two brands. Is backing these two thoroughbreds to the exclusion of all others good business sense? WatchPro’s Rob Corder headed up to Preston’s flagship store in Wilmslow, Cheshire, to find out. In 2015, The Rolex Watch Company Limited, reported sales of £190 million in the UK and Rhone Products (UK) Limited, the UK subsidiary of Patek Philippe, turned over £125 million. In the same year, Richemont reported UK sales of £73 million; LVMH Watch & Jewellery did £72 million and Swatch Group £70 million. To summarise: the turnover of Rolex in the UK was almost equal to the combined total of every watch brand of LVMH, Swatch Group and Richemont combined. Patek Philippe and Rolex combined accounted for sales of £315 million in 2015, 50% more than LVMH, Swatch Group and Richemont’s collective turnover of £215, according to Companies House Accounts. 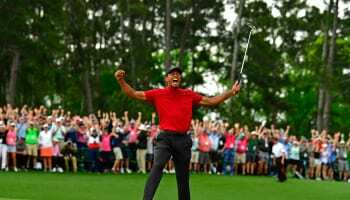 Apologies for this stream of mind-boggling figures, but they matter enormously to the choices made by Prestons, a chain of three luxury watch and jewellery boutiques with outlets in Wilmslow, Cheshire; Guildford, Surrey; and Leeds. This is a company that sells only Rolex (and its stablemate Tudor), and Patek Philippe. All other watch brands are just getting in the way of making more money with these mega brands. 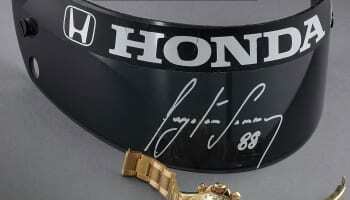 “In the past we have tried most of the Swatch Group brands, the Richemont brands; Audemars Piguet, Richard Mille. I took a decision about three years ago that I would just focus on the two brands that generated 80% of the revenue, which were Rolex and Patek Philippe. All the other brands, without being disrespectful, were just clutter. They were tying up a lot of capital, but not getting the returns so I took the decision to delist them,” says Karl Massey, owner and managing director of Davane Holding Company, the parent organisation that owns the three Prestons boutiques and a handful of other smaller businesses. By narrowing its focus, Prestons has been able to deepen its relationships with the two major brands and their customers. “It made us look far more focused to anybody that wanted Rolex or Patek. The two brands love the fact that we de-listed so many other brands,” Mr Massey believes. “One of my pet hates in luxury retail is to see stores that are full of corners because they take away the identity of the store,” he adds. WatchPro meets Mr Massey in his Wilmslow boutique. From the outside, the double-storey 1930s building with its polished marble facia looks like something from the French Riviera. Inside is even more dramatic, with a massive tropical fish tank behind a polished brass circular bar dominating the centre of the space. Besides the central bar, the shop is uncluttered, with the majority of furniture provided for private conversations rather than hard sales. The major watch brand areas are to one side, where separate rooms have been created for the two megastars: Rolex and Patek Philippe. Tudor is tucked away with a small concession at the back of the boutique. Like all megastars, Patek Philippe and Rolex come with significant and expensive riders (think Mariah Carey’s list of demands for 100 doves and 20 white kittens). The Swiss giants expect their in-store presence to be designed in conjunction with corporate headquarter experts, and retailers pay six- or seven-figure sums in furniture, fit-out and stock acquisition costs. Thereafter, retailers must abide by strict codes of conduct. Woe betide any retailer that is caught parallel importing hard to source timepieces from overseas. They will be kicked to the kerb. The opposite is true for businesses that play by the rules, Mr Massey says. 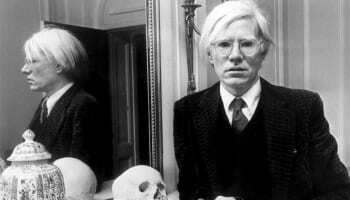 “As long as what I do pleases Rolex and Patek, and we do it really well, then I am happy. We get very good support from both brands. 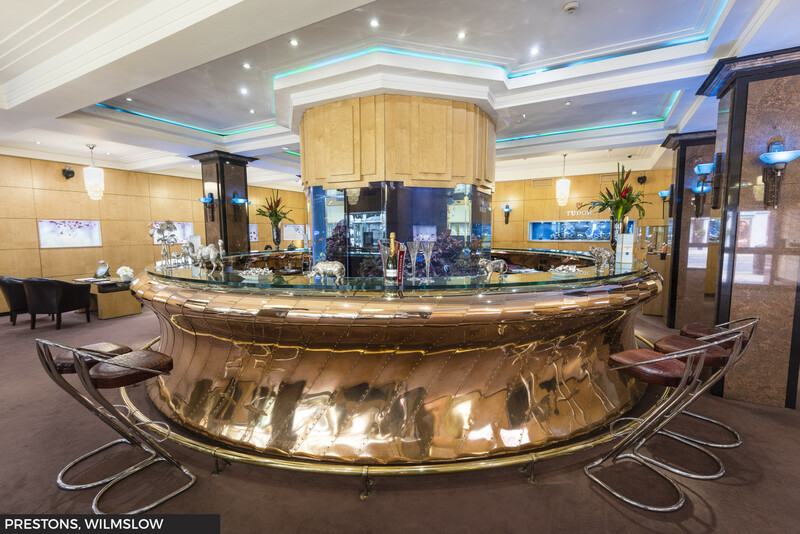 In November we took a party over to Patek Philippe in Geneva. We didn’t just take our own clients, we invited Rolls Royce in Manchester to invite some of their clients. That cross-fertilisation worked really well. The world of luxury should always be about special products sold by expert consultants to excited customers in an opulent environment. This is what Rolex and Patek Philippe in the UK are creating with every retail partner, and it explains why they insist on a uniformly high standard from every executive in every partner store. The Rolex at Prestons monobrand boutique in Leeds. The UK offices of Rolex and Patek Philippe hold themselves to equally high standards, and the consistency and professionalism of their executive teams is frequently praised by the retailers that work with them. “We are treated with respect. 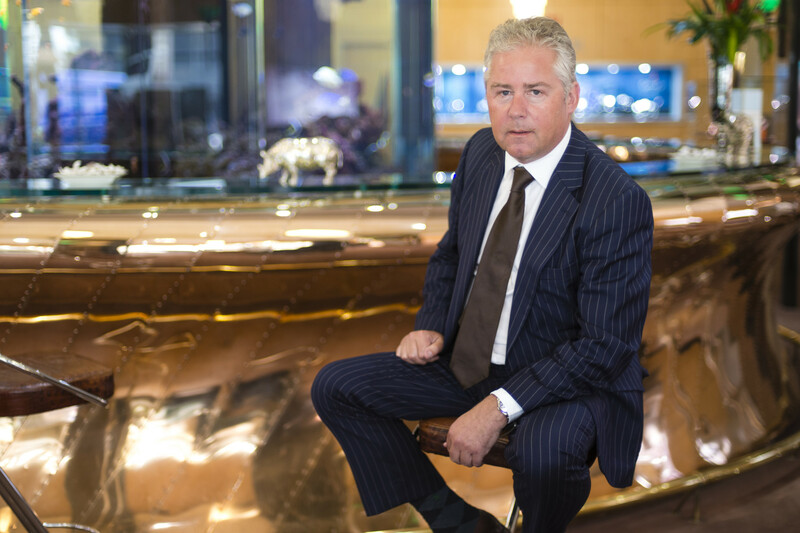 We have great relationships with [Patek Philppe’s] Mark Hearn and Adrian Lurshay. And Richard De Leyser, since he joined Rolex inn 2011, has transformed the Rolex business in this country with the closures. The investment retailers have had to make to keep the brand has made it a different animal altogether. I am convinced I made the right choice,” Mr Massey says. The highly selective distribution model bought into the UK by Mr De Leyser was particularly welcome to Prestons. “Before Richard’s time, Rolex was run very differently. They were less demanding in terms of stock holding, the furniture and the presentation. Richard came in and went round the country and closed down a lot of retailers for one reason or another. For a business like mine, that has been fantastic,” Mr Massey reveals. “When I de-listed the other brands, my sales of Rolex and Patek Philippe increased. My store became less cluttered. I don’t see Rolex or Patek dictating to me; I see it as a partnership. I know their standards, they know I know their standards, and it is a great relationship with both companies,” he says. 2016 was a year when luxury watch sales exploded in London and other tourist-friendly cities. Prestons saw none of that, and grew last year on the back of domestic customers that account for over 95% of its turnover. “The biggest proportion of our best clients are successful business people, some of them very successful. Young professionals and entrepreneurs, self-made people, are a big market for us. We have a client who started his business in his garage in 1980, and now has Europe’s biggest valve company. He has been a great client for about 15 years,” Mr Massey says. Wilmslow is part of a golden triangle of affluent villages and small towns where the super-rich of Manchester reside. People mistakenly think this means the entire area is fuelled by high-earning footballers, but Mr Massey claims not to chase this business. “We have one Premier League footballer who is passionate about Rolex, and others who dip in and out,” he shrugs. The flagship Prestons boutique in Wilmslow, which sells only Rolex, Patek Philippe and Tudor watches. Wilmslow is the biggest and oldest of the three Prestons shops, and grew by around 15% last year, according to Mr Massey. 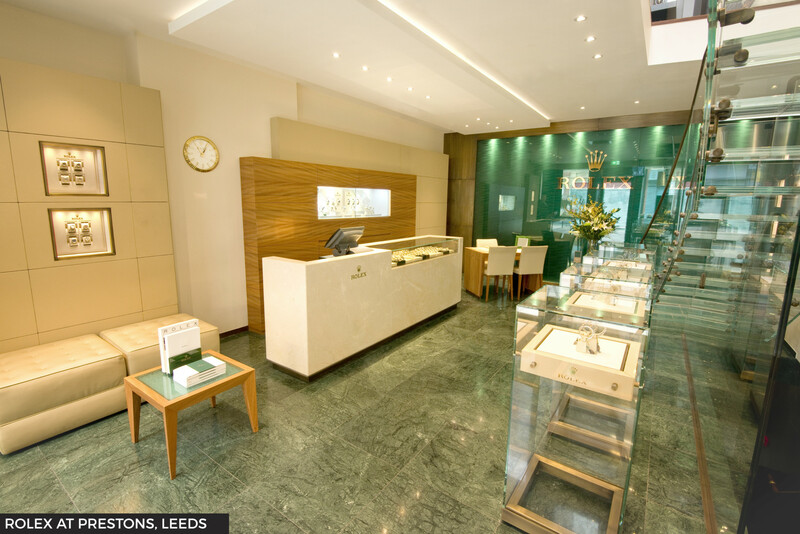 Rolex of Prestons in Leeds has been around for five years, and grew by 50% last year. The Guildford boutique only just completed its second year of trading, and sales were up 25% in 2016. “2016 was a very good year. Our financial year runs from April 1 and this new year has started even better than last year, so I am pinching myself a bit,” Mr Massey smiles. 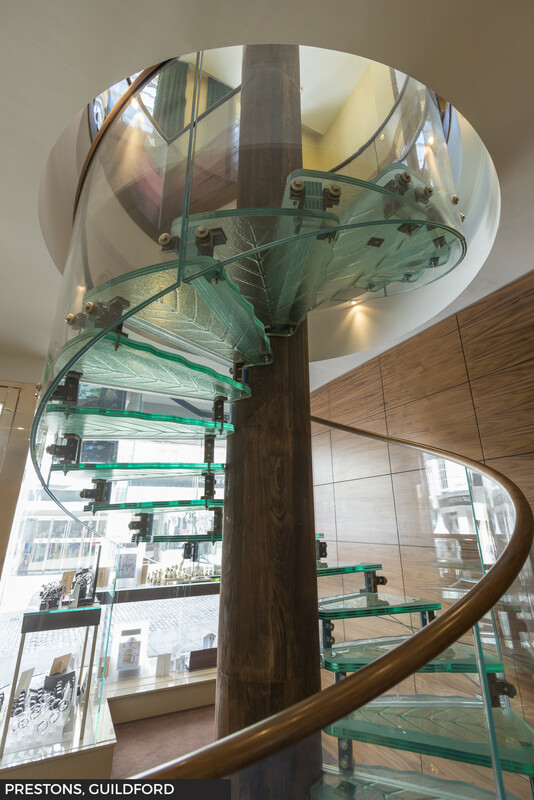 A striking spiral glass staircase connects the ground and first floors at Prestons in Guildford. Rolex, Tudor and Patek Philippe have done their best to help from a product point of view. The collections launched at Baselworld in March have been widely applauded as the most commercial in years. Mr Massey was so impressed, he committed to more stock than ever before. “When I look at Basel and the new watches that Rolex and Patek Philippe brought out, I was so happy. It is just great product from both brands. We did a big order for Rolex at Basel this year — big for us and much bigger than any previous year. I think it was one of the best years for both brands at Baselworld,” he asserts. “Our confidence is high, and we just loved the product. We even ordered three of the Rolex Yacht Master Tutti Frutti watches (retail price £48,100). That is a very Wilmslow watch,” he says without elaborating. Mr Massey’s conservative prediction for turnover to remain roughly level in 2017 is surprising given the momentum carrying through from 2016 and his buying spree at Basel in March. It is less surprising that he has no plans to open any more stores, because there are few gaps in the country for additional Patek Philippe or Rolex stores. 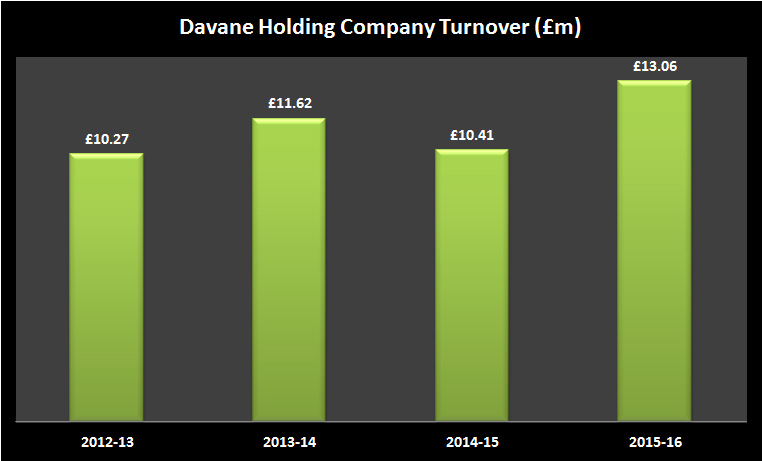 Davane Holdings Company, parent company of Prestons, turnover figures from Companies House. Looking further into the future, a shift in the market towards more monobrand boutiques could create opportunities to open additional stores for his two favourite watchmakers. He wonders whether the luxury watch industry may go the same way as the prestige car market. “If you go back 30 years in Wilmslow, there was a beautiful car showroom called Stratstone. Ron Stratstone had the agency for Rolls Royce, Bentley, Ferrari, Porsche and I think another brand, all under one roof. The way the car industry has gone, that is finished. There are no multibrand new car showrooms any more. I would not be surprised if in 30 years time, that is the way the watch industry goes because most of them are very powerful groups. Why would they want a TAG next to an Omega if you are Swatch Group? I am not sure you would,” he suggests.